Alas, it’s time for the last installment of our trip to Disney featuring two parks, Animal Kingdom and Hollywood Studios (formerly known as MGM). 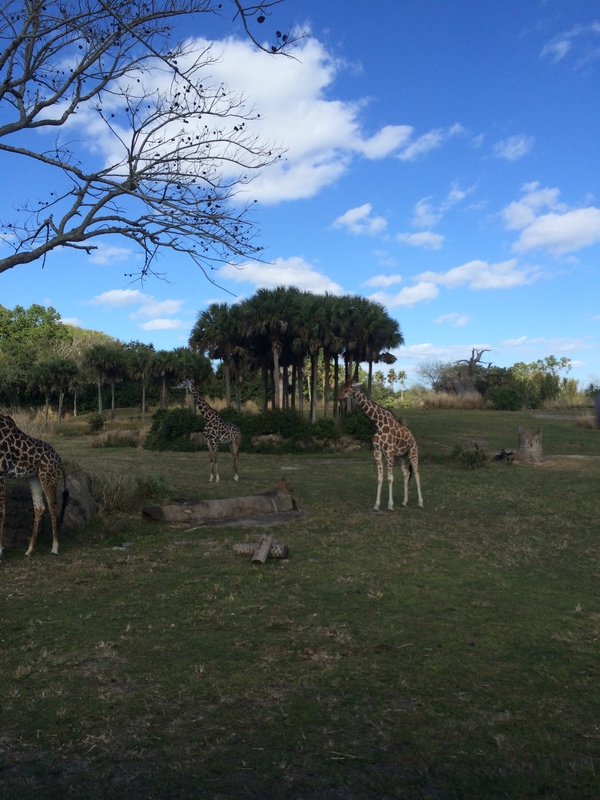 On our last Sunday, we grabbed a quick breakfast in our hotel room and headed off in the morning to Animal Kingdom. 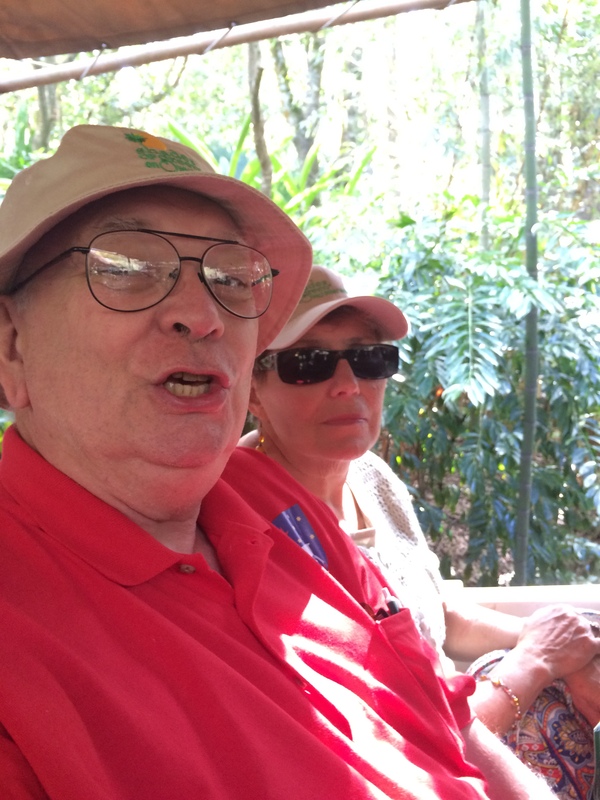 First on our itinerary was our FastPass for Safari Kilimanjaro. All four of us loved the ride. Though it was a little bumpy at time, it was amazing to literally be right next to the animals. We saw a variety of wildlife including giraffes, elephants, lions and many different types of birds. My parents especially got a kick out of riding on the oversized jeep. After the safari we parted ways to walk around the park and go on different rides. Next up for Matt and I was Dinosaur. The line moved surprisingly fast and we both enjoyed the ride. Then it was time to use our next FastPass on Expedition Everest. This was probably my favorite roller coaster out of all of the parks. It definitely took my breath away a few times. My parents decided to skip Everest and I recommended for them to check out It’s Tough to be a Bug. I thought it would be more their “speed”. They loved the interactive story even though I forgot to mention a few things that might have took them by surprise. We finished up our day by heading back to Downtown Disney for dinner and shopping. Matt and I debated about where to go and we settled on Bongos Cuban Cafe. Since it was one of our last nights, we opted to sit outside and enjoy the warmer weather while we could. Our server was spectacular and walked us through the menu and specials. We started out with a steak bruschetta, that was amazing. For our main meals, I ordered a shredded beef dish and Matt ordered a combination of seafood in a tomato based sauce. Both of our orders came with beans, rice and fried plantains. We were so stuffed we even passed on dessert! Once we had shopped and picked up a few gifts for our families, we stopped in at the Raglan Road Irish pub and restaurant. We were drawn to it by the live music playing outside. We grabbed a few chairs and ordered a beer and cider for our desserts. The music was great and they even had some Irish dancers perform between sets. It was the perfect way to end the day. Monday was our last day in Disney and we capped it off with Hollywood Studios. We split off from my parents because we each had different times for our FastPasses. First on our list was the Muppets 3D (one of my favorites), followed by Star Wars and the Great Movie ride. Unfortunately, Matt and I weren’t able to do a whole lot more because I started feeling ill. Luckily though my parents had a great time on the Indiana Stunt Show, the Back Lot Tour and Star Wars. They even commented it was their favorite park after Epcot. I definitely didn’t expect to hear that! All in all we had a wonderful time. We had a blast going with my parents and meeting up with them throughout the day as well as meeting an old friend from college. I’m really glad Matt and I had the opportunity to go to Disney before we start our own family. It was fun for just the two of us to be kids. To attempt riding on all of the rides, sipping beverages around the world and eating amazing food while staying up past our normal bed-time. Yes, I would definitely call that one good vacation for the books! The next park on our list was Magic Kingdom. We set off early on Saturday morning and still hit the crowds. I was amazed how packed Magic Kingdom was compared to Epcot. Thankfully, despite the crowds we were able to find one my friends who we had planned to meet up with for the day. First on our plan was Pirates of the Caribbean followed by the Jungle Cruise. I loved the Jungle Cruise! We had so much fun laughing at the corny jokes. Next we hit the Enchanted Tiki Room and Thunder Mountain. Then we went to the Haunted Mansion. With a long line we decided to have our PB&J lunches that we packed and look for a few “Hidden Mickey’s”. After being spooked we headed off to relax on the Blue Line People Mover followed by Peter Pan and It’s A Small World. Peter Pan was probably my favorite ride. I loved being suspended from the top like you were flying over London and Never Land. It was time to pick up the pace a bit so we checked out Buzz Light Year and Space Mountain. Both were a ton of fun! Especially when I ended up beating Matt’s score on the Buzz Light Year ride. I was shocked he didn’t demand an immediate rematch. We ended our day at the park quite fittingly at the Hall of Presidents. We headed back to the hotel to drop off our backpacks and freshen up before dinner. 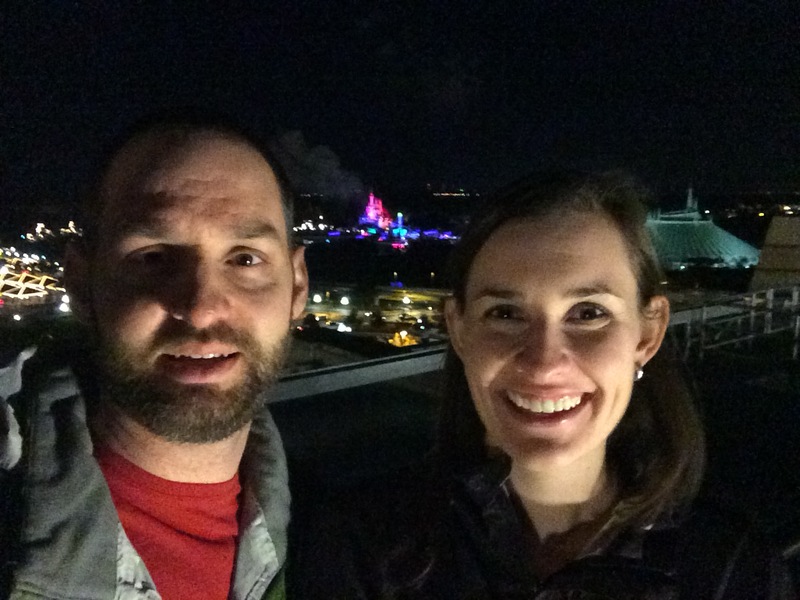 One of our splurges was dinner at the Contemporary Resort’s California Grille. Our friends had recommended the restaurant because the food is amazing AND because you can overlook the fireworks from Magic Kingdom from the restaurant’s balcony on the 15th floor. Our meal started with cocktails followed by sushi for an appetizer. We then paused our meal to enjoy the fireworks. The restaurant dimmed the lights and piped in the music from the show. The views were breathtaking. After the show we ordered our main meals. Matt got the beef tenderloin medallions and I ordered a seafood mole. And of course we saved room for dessert. Matt ordered the cheesecake and I ordered a molten nutella cake. We were both in heaven, the treats were so good! I definitely recommend checking out the California Grille for a great dining experience and for the spectacular views during Magic Kingdom’s fireworks performance. Next week I’ll be talking about our fun times at Animal Kingdom and Hollywood Studios! Vacation recap time! 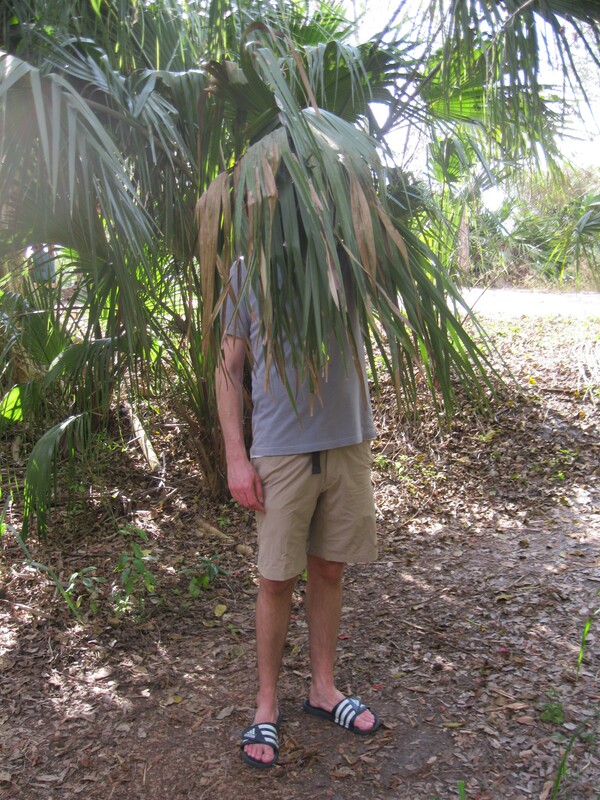 Matt and I usually escape to Florida in January/February to remember what it feels like to be warm. We arrived on a Wednesday evening to Tampa, Florida. By the time we got back to my parents place it was about 10 p.m. and we were ready for a comfy bed. The next day we had a leisurely breakfast and my mom took Matt and I around their town house facilities. Then we were off to visit my aunt and uncle who also live in Florida before heading out to our main destination…Walt Disney World! We stayed at Spring Green, which is a military resort on the grounds of Walt Disney World. The hotel provided transportation to all of the parks or if we were up for a little walk, we could jump on the Monorail at the Polynesian Resort across the street. After we checked in and got settled my Mom, Matt and I headed to Downtown Disney. 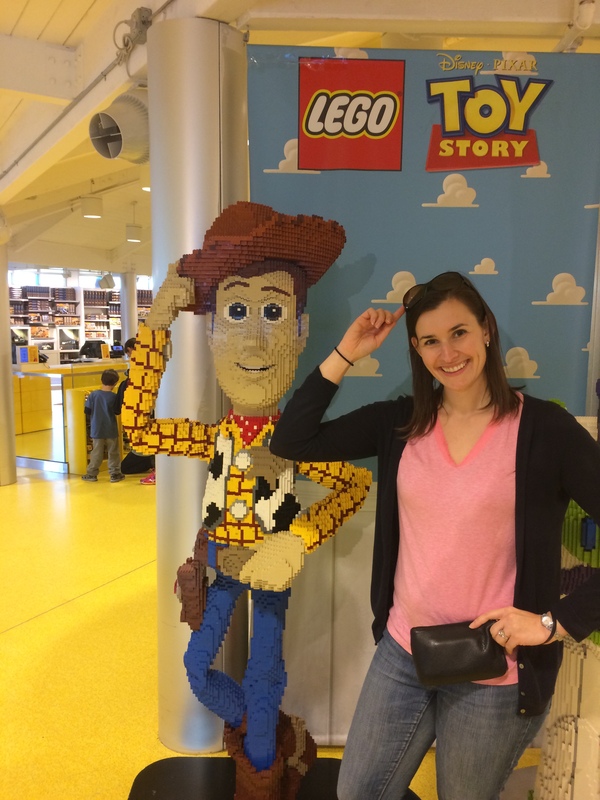 Our first stop was the Lego Store for some fun photo opportunities with life-size sculptures as well as time for Matt to be a kid again. We looked in at a few other shops before we realized it was time for dinner. 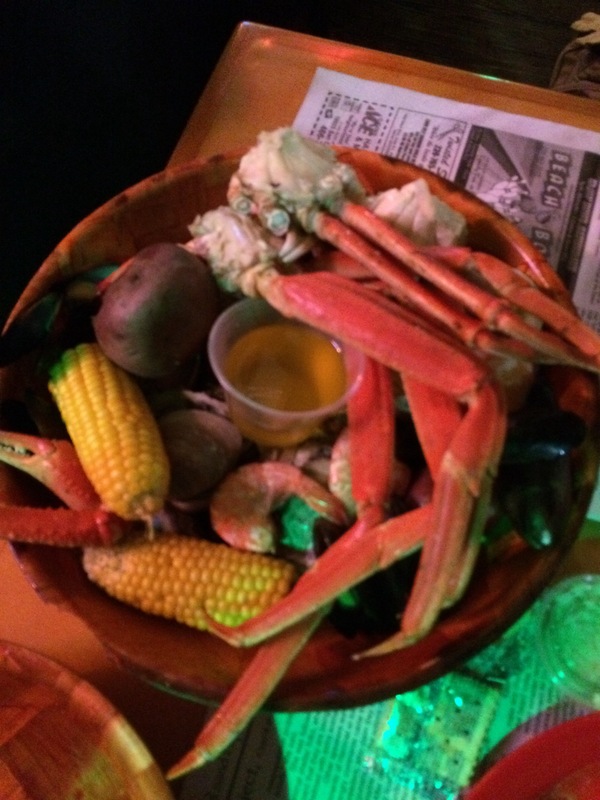 After checking our options we settled on Fulton’s Crab House. Our waiter was amazing and hilarious. We had a great time joking around with him and of course, following his recommendations. My mom ordered and enjoyed amazing crab cakes while Matt and I split an order of calamari and fish tacos. The food and drinks were delicious and filling. So much so that we walked around for a little longer before heading back to the hotel. 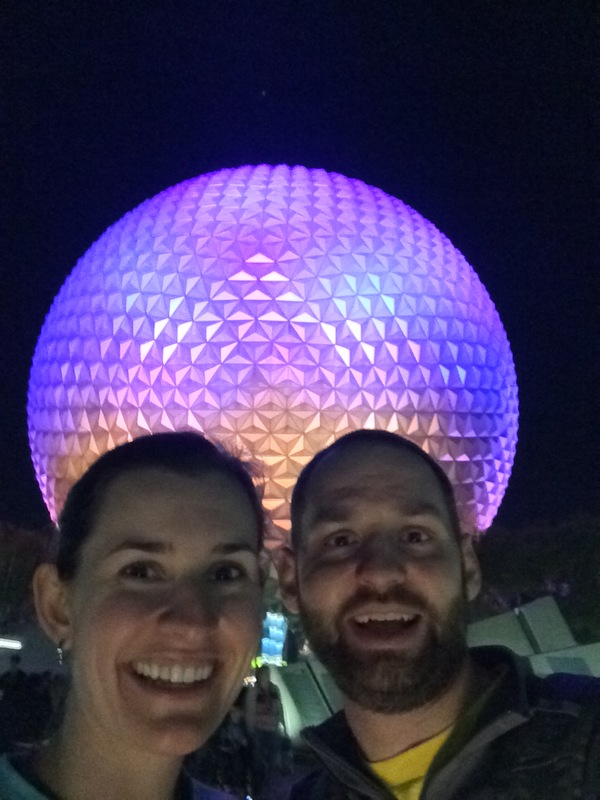 With a good night’s sleep under our belts we headed to Epcot and boy did we need it! I’m still impressed with everything we fit in one day. It started with Spaceship Earth followed by Captain EO (a must for Matt), Test Track and Mission Space. Before we knew it was time to head over to the World Showcase and meet up with my parents for lunch at Germany. The lunch buffet was great, but not as good as Mom’s home cooking (I’m a little spoiled). Once again with our bellies full we took a walk around the world stopping in at the different shops for trinkets, drink samples and impromptu shows by Disney cast members. As we were making our loop, a staff member stopped us and gave us two tickets for the fireworks show, IllumiNations, from a private balcony. Score! With time to burn we checked out a few more rides including The Seas with Nemo and Friends and Ellen’s Energy Adventure. We did another loop around the world and caught a few movies at China and France before we grabbed dinner. Hearing live music we stopped in England and enjoyed a cover band rocking out to all the English classics. Once they finished it was time to head down to the private balcony to enjoy IllumiNations. The area couldn’t have been more perfect. Our location was a little island in between England and France at water level. The show was spectacular from that vantage point. After the fireworks we booked it over to the ride Soarin’. Apparently everyone else had the same idea because when we got there it was a twenty minute wait but by the time we went on the ride it was back up to an hour! During the day it was over an hour and unfortunately we weren’t able to get a FastPass for it. Luckily our plan worked out perfectly. Stay tuned for next week’s post featuring our adventures at Magic Kingdom! Let me tell you, it’s not easy. 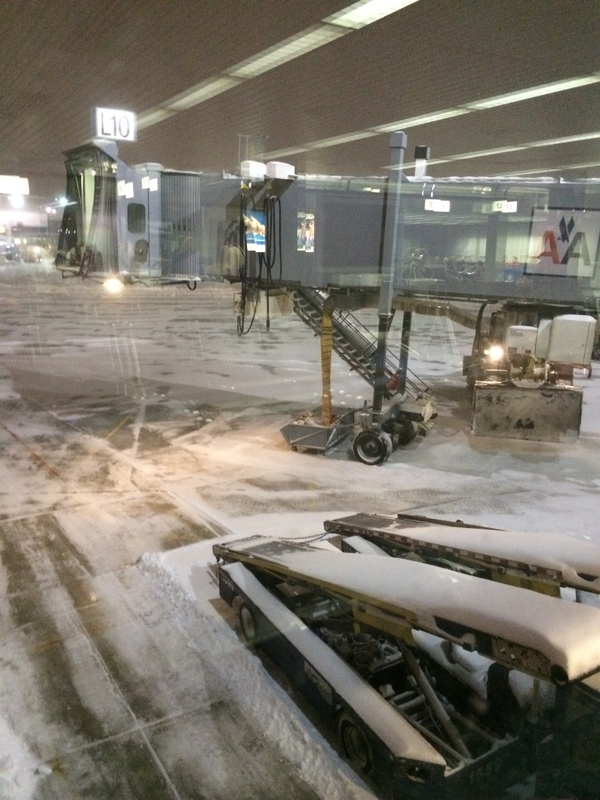 Well, at least not easy when you’re up at 3:30AM shoveling 3+ inches snow to make it to your 6:40AM flight at O’Hare International Airport. But all the hassle was worth it. Last Wednesday Matt and I safely flew out of O’Hare and made it to warm, sunny, Fort Myers, Florida. Plus we were only an hour and a half later than our original time of arrival. Not too bad considering the conditions when we left Chicago. We arrived Wednesday afternoon and immediately grabbed lunch at Miller’s Ale House, one of my parents favorite places to eat. After we were sufficiently full, we headed to my parents’ home and relaxed. We unpacked, went to the pool, and relaxed some more. All the makings of a great, relaxing vacation. The weather couldn’t have been better. During our five day stay, each day was in the lower 80’s with low humidity. When it was cloudy, it was only in the morning, and always cleared up by the afternoon. Here are a few highlights of our week down in the sunshine state. 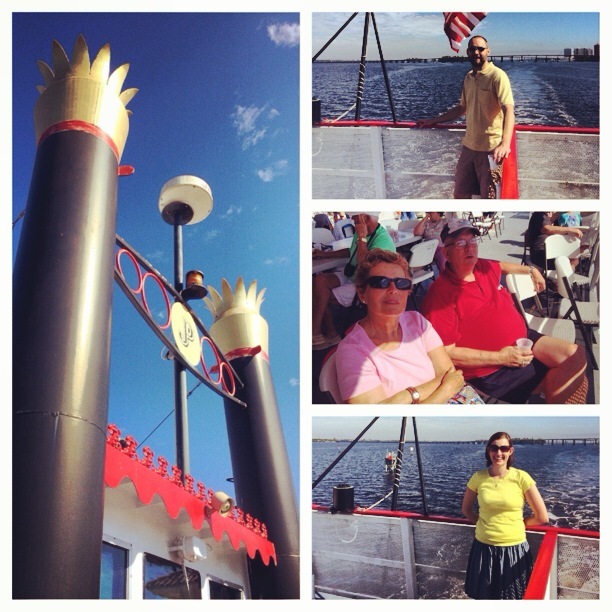 A 4-hour cruise down the Caloosahatchee River. Setting off from Fort Myers we enjoyed a lovely afternoon featuring a tasty lunch, delicious cocktails and sun. Massages. Thanks to Groupon we found a sixty minute Swedish massage for $37! And what happened to be next door to our massage place but a brewery! 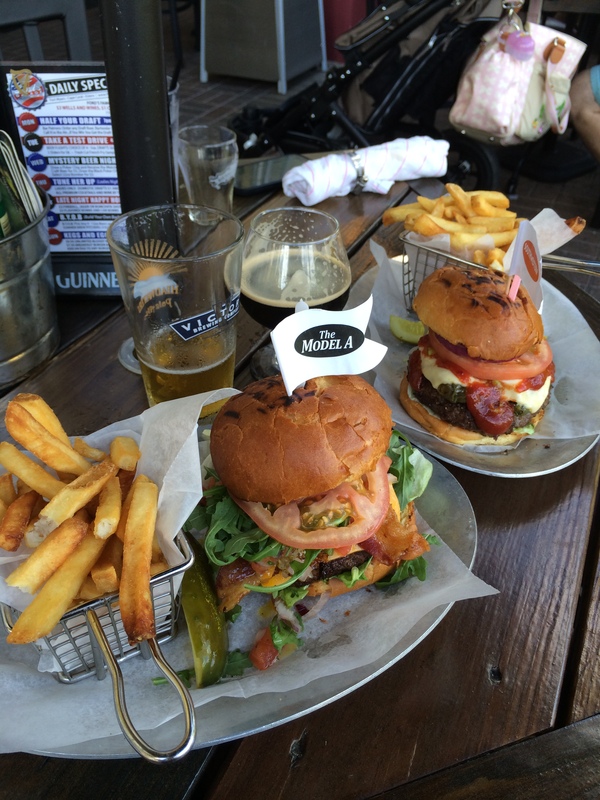 We definitely recommend trying Point Ybel when you’re visiting southern Florida. 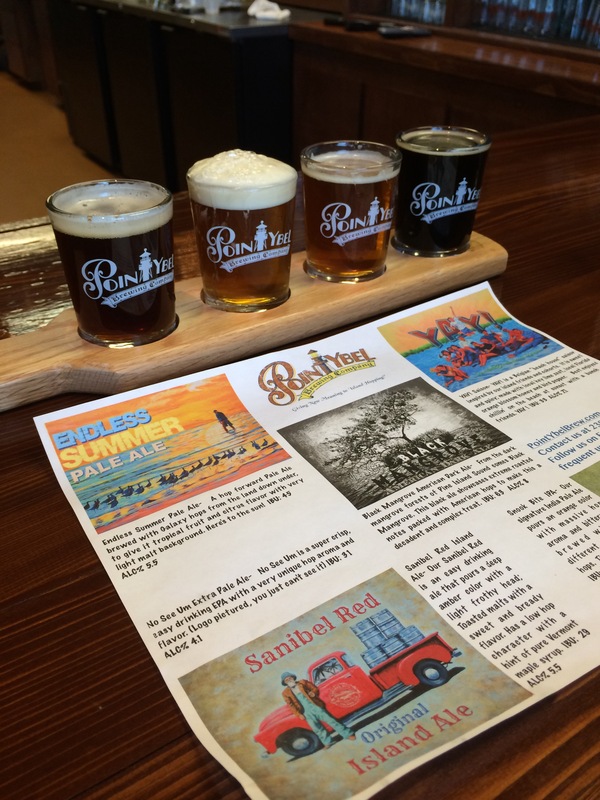 They just opened a tasting room in Fort Myers with friendly service and pretzels. What more could you want while drinking craft beer? Sample Blank Mangrove (American Dark Ale) and YAY! (Sanibel Saison). If you’re looking for seafood try Smokin Oyster Brewery but get there before 6PM. With live music, drinks that will make you fall off your seat because they are so strong, great beachfront people watching and amazing seafood buckets, get there on time. Shopping. A girl’s vacation is not complete without a trip to the mall, especially an outlet mall. Luckily Matt was game and my parents recommended we eat lunch in the mall at Ford’s Garage. We waited 20 minutes but it was well worth it to sit outside and enjoy craft beer from Victory Brewery as well as humongous burgers. Let’s just say we walked around the mall a few times to work off our meal. All in all, another great vacation down to Florida. It was really easy to leave behind the negative windchills and single digit highs in Chicago but man, it sure was hard to come back to! Here’s to hoping that spring is just around the corner. I’m ready for more sun and warm weather! Sorry I didn’t post last week folks! Warmer weather and my dad’s 70th birthday called me down to Florida. Florida has many pros – sun, blue skies, beaches, fruity drinks that you can enjoy on the beach…but it does have its cons. And one of those is internet access at my parent’s place. Or should I say, lack thereof. But have no fear, I won’t let you down this week! Matt and I had a few adventures visiting my parents, but probably the best was our day trip to Cape Canaveral, home to the Kennedy Space Center. We arrived to Orlando the night before our trip. My dad is a retired veteran, allowing us to stay at Shades of Green, the military resort at Disney. The place was beautiful. After unpacking, we grabbed some margaritas and toured the grounds. Surrounded by a golf course with lots of open land, we seemed to have our own little playground. That playground happened to have two pools, a sauna, tennis courts, an 18-hole golf course, arcade, three restaurants and general store. Access was readily available to whatever we needed. In the morning we started off with a fantastic buffet. Fully loaded with all different types of fruit, yogurt, granola, cereal, bread, made to order omelets or eggs and a ton of other tasty food. We stocked up before checking out and making our way to Cape Canaveral. Stomachs full, we headed out for our hour car ride. Good thing we had a big breakfast because we definitely walked it off around the Kennedy Space Center. As soon as we got out of the car Matt turned into a little kid. He wanted to see everything and do everything. Naturally, I handed him the map and asked where to first. Exploration started at the shuttle launch experience. Astronauts actually designed this ride to make you feel like you were experiencing a space shuttle take off. It was very cool. 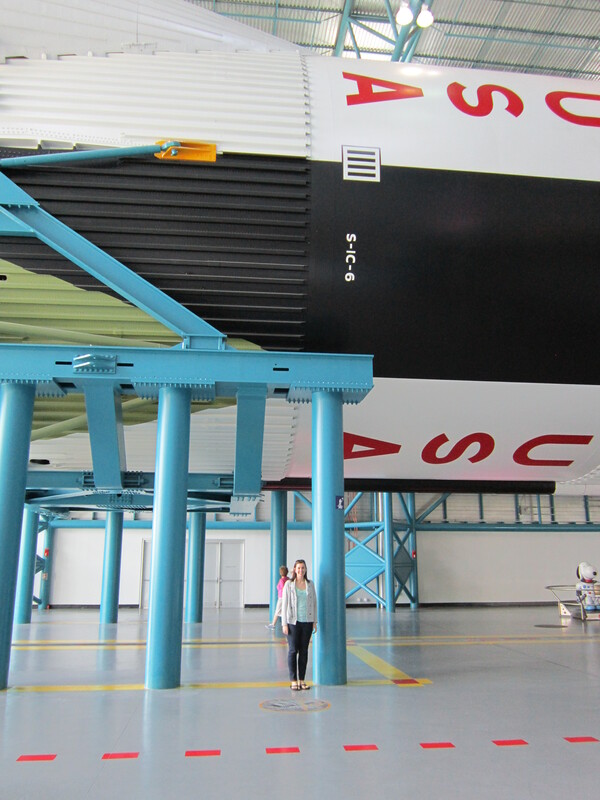 Next we met up with my parents to go on a KSC Tour. 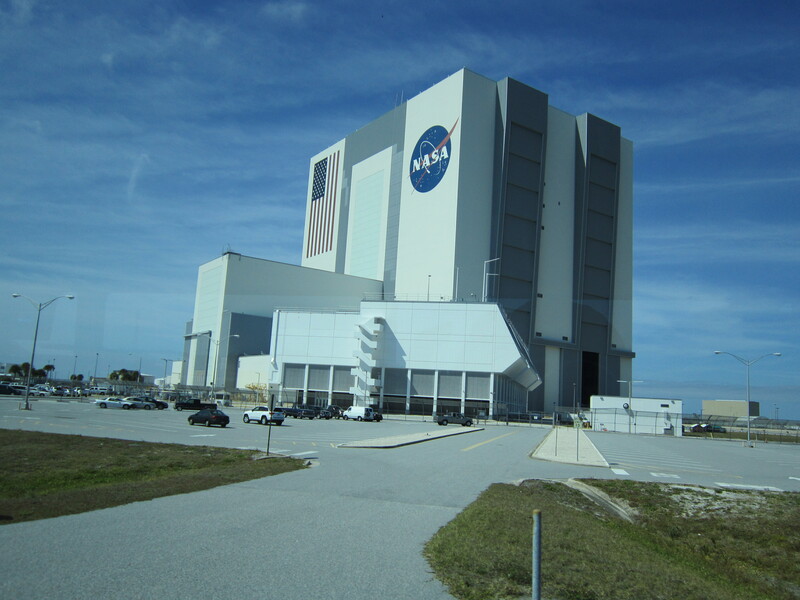 The tour took us around the vehicle assembly building (V.A.B. ), launch control, launch pad, and to the Apollo/Saturn V Center. Disappointment came about when we could only go around the V.A.B. and the launch pad. All tours had to stay on the bus. But, Matt and I figured we’ll be back and will take the behind the scene tour! Luckily the Apollo/Saturn V Center did not disappoint. This is where Matt got the giddiest. Inside the building we encountered one of two Saturn V’s created. The rocket was massive. It was displayed in its different sections, which was even cooler to see how it was pieced together. Besides being amazed by the rocket, there was nifty “treasure” gallery featuring spacesuits and other gear used by the astronauts from the Apollo missions. You can even touch a rock from the moon! Next we headed to the IMAX Film to listen to Tom Cruise narrate the “Space Station 3-D” followed by a trip to the gift store. We round out the day with Dippin’ Dots and a walk in the Rocket Garden. The garden will blow you away. 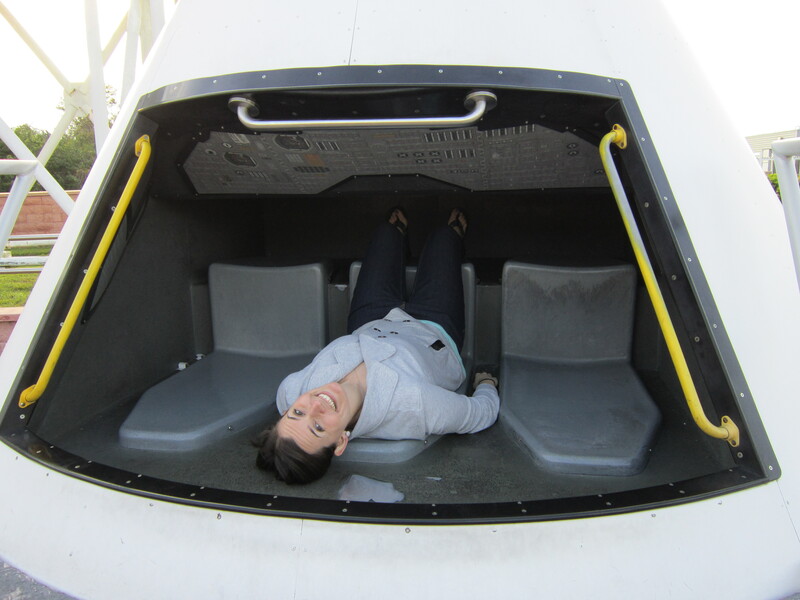 You can get up close to very same Redstone, Atlas and Titan rockets or climb aboard Mercury, Gemini and Apollo capsules. We could have easily done two days there. And maybe next time we will! One day I want to be like my parents. They have the retired life nailed down. 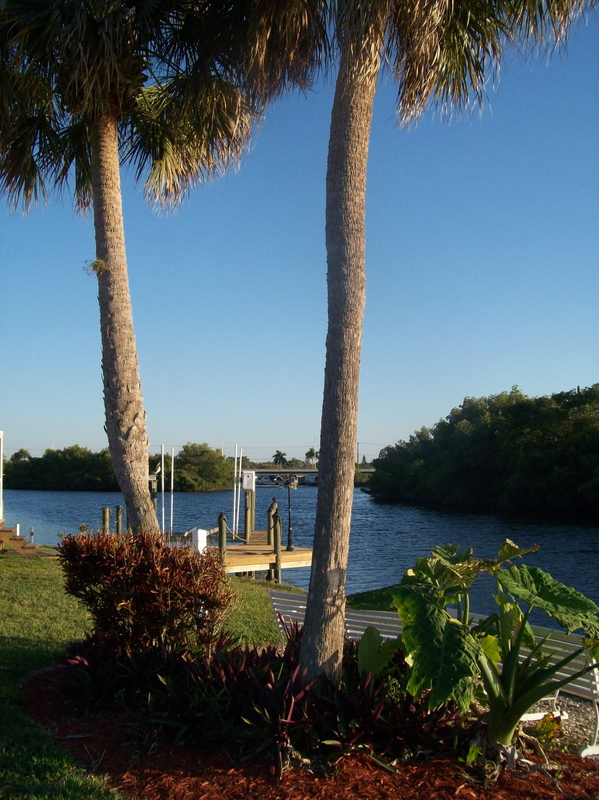 Summers are spent at our lake house, between seasons they are enjoying the suburbs of Chicago, and the winters are passed in sunny Florida. Luckily for my friends and I, we can take advantage of their luxurious lifestyle. This past weekend I cashed in on my connection for two in Fort Myers, Florida. Matt and I booked our flights in November when Southwest was having a special promotion and secured round trip flights for around $200 each. Apparently, it pays to book early. Folks looking at flights around the same time were paying almost double. Crazy! Our four-day, three night stay was nice and relaxing. We enjoyed a few meals with my parents, went out exploring the area on land and by boat. 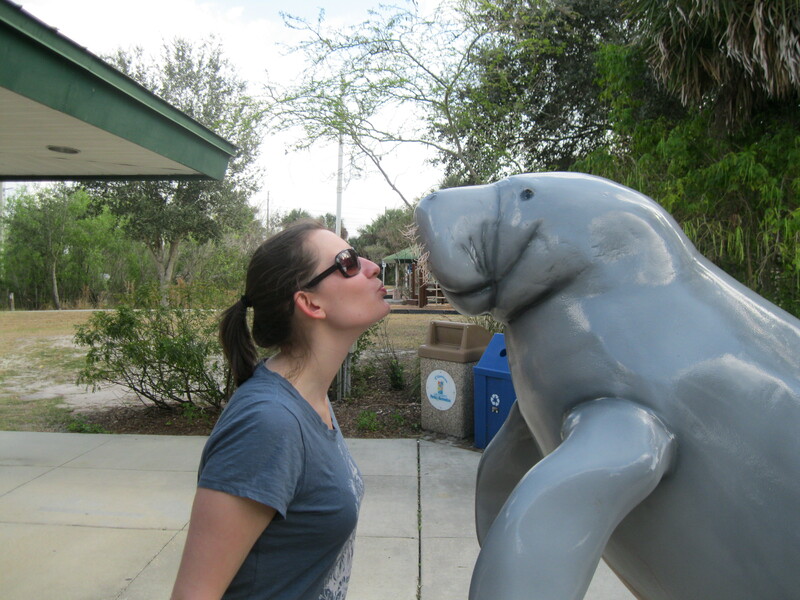 One of first stops was to a manatee park. We walked along the path and only caught a few glimpses of the sea cow but had lots of fun taking a few photos. My favorite activity that we did was by kayak. Last year Jill and I found Kayak Excursions. They have a variety of rental options and guided tours. They also offer drop off and pick up of rentals for full and half days. So I called up Stefan and booked a full day kayak rental at an excellent price of $65. Matt and I went out a few times and I’d say we probably covered almost seven miles. We might even have floated over a few manatees! On land we checked out the Edison and Ford winter estate, which is a wealth of information. There are a ton of fun facts that you can learn about the two families. In fact, did you know that the Edison’s and Ford’s made recreational camping popular? We also strolled along Fort Myers beach. We walked up one of the main piers and even witnessed a local fisherman catch a stingray. Not exactly what I would call dinner. We walked back towards the beach and grabbed a table at the Pierside Grill to enjoy live music, sun, fruity drinks and seafood appetizers. I love long weekend vacations, especially in sunny warm places in the winter! Although, I think next year I’m going to have to add on another day. Four days were simply not enough to get a good base tan! Catching up on my magazine reading poolside I read in a recent study, the average American absorbs 12 hours of media consumption in nine hours. It’s easy to do when technology is at our fingertips 24-seven. I’m a classic case. Unwinding after dinner in the living room, I’m curled up in a chair watching TV (usually HGTV or PBS) with my MacBook (searching for deals on Craiglist/real estate listings) and iPhone (ready to text/use an app) close by. Even at work I have at least three tabs open on google chrome, podcasts of BBC streaming and sometimes I’ll even rock out to music on my cell phone. Being connected is part of my every day natural habits. Yet, Florida has forced me to disconnect. I’m writing this blog post on my parents’ lanai enjoying a view of the Orange River with no wireless connection. I’ve turned my phone on silent and resisted the urge to check my mail every five minutes. The one bar of service I get keeps me reassured I am still connected to my data plan, if I need it. Turning off or at least silencing means I can enjoy the view. Watching five different types of birds fly around while one takes up residence on the boatlift three feet away. There is a gecko is sunning on the dock and I’m still scanning the water for a manatee to pop up and say hello. Boats float down with passengers waving hello with a smile. There is nothing I love more than being by water, enjoying good company and fine wine. Visiting my parents in Florida has done just that. Allowing me reconnect with the people I care about most – my parents, my aunt and uncle, many of our close family friends and of course, my best friend Jill who came down form Detroit for a few days. It’s good to recharge your own batteries every once in awhile. Try powering down, you might be surprised by what happens next.